No one at Athom is a morning person. It is safe to say we are strong advocates of skipping the morning altogether. Waking up to a beeping alarm is the worst way to wake up. We like waking up gracefully. To the smell of coffee and the sound of our morning playlist, while the sun starts shining down on our faces. During the development of Homey we’ve made sure it could carry out these wishes and create the perfect morning. So let’s see what a perfect morning – in our minds – looks like. Nothing beats waking up to the smell of freshly made coffee. Thankfully, Homey supports Smarter Coffee. Pair this device to your Homey and always wake up to a fresh pot of coffee. We already talked about pairing blinds to your Homey. 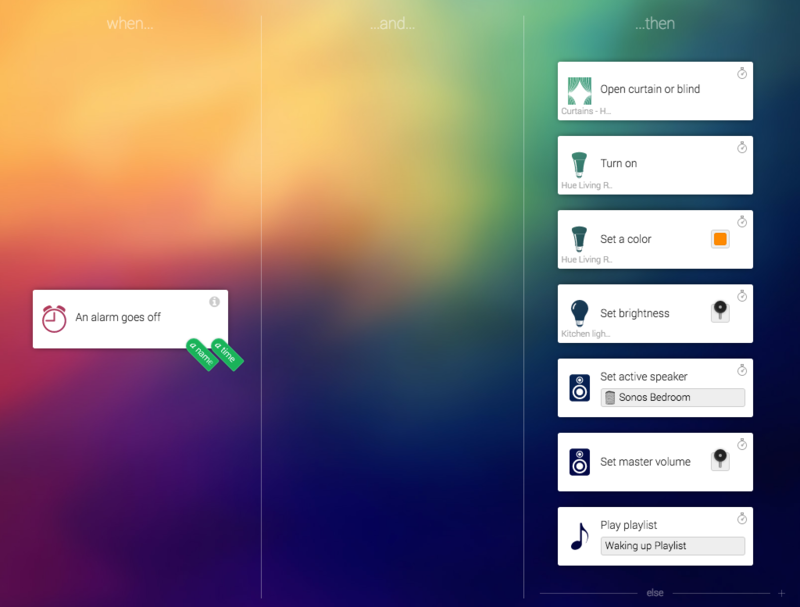 You can make some really useful Flows along with your Smart Lights, thermostat, and sound system. Never wake up to the shrill sound of your alarm again. Of course, you have your own set of wishes and needs in the morning. Some people don’t like waking up to music, some people don’t want the sun shining down their faces in the morning. Not too long ago I was told that some people don’t even like coffee in the morning(?!). Thankfully, due to Homey’s broad range of supported devices, everyone can create their perfect morning with their own devices. However, for this scenario we’ll take our perfect morning as a starting point. This means pairing blinds, a coffee machine, a sound system, our lights and a thermostat to Homey. In this case we’ll pair a Smarter Coffee, a Sonos PLAY:1, Verosol Blinds powered by a Brel motor, Philips Hue Lights, bedroom spots and our Nest thermostat. 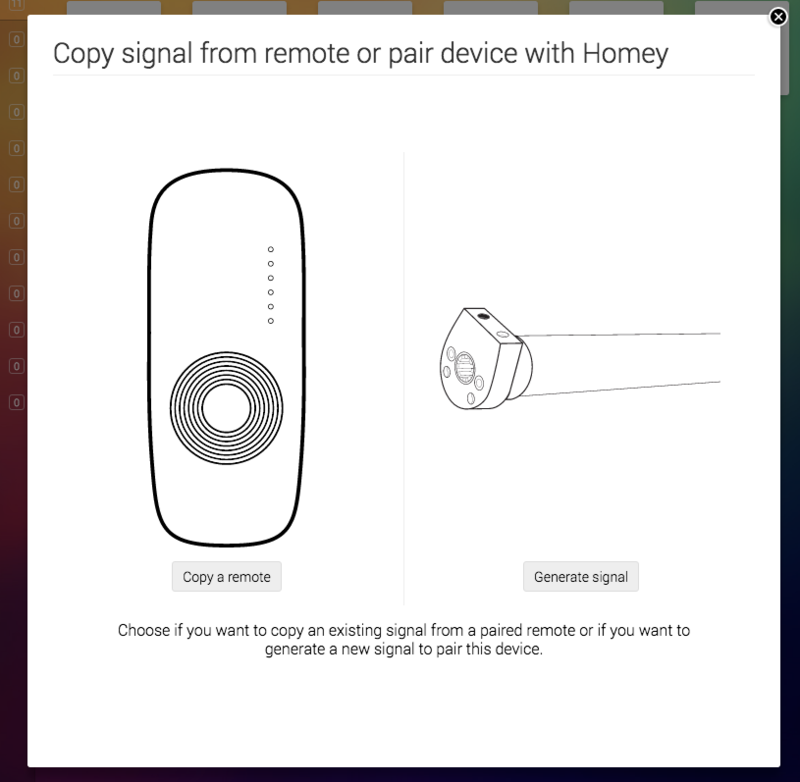 We can simply add the devices in the Homey Desktop App and install the corresponding Applications. Pairing devices to Homey is easy. Homey will give us clear and simple instructions. Of course, our perfect morning setting might differ from yours. You can easily add in your own devices and follow the instructions Homey shows to pair them. Now that all our devices are paired, it’s time to have fun. Homey knows what devices are paired. You can simply create a ‘Date & Time’ Flow that automates everything. By adding delays to our cards we can adjust the times at which Homey controls our devices. In this case we’ll have our Smarter Coffee brew a pot 15 minutes before we want to wake up. At 08.00 the Sonos in the bedroom will start playing our morning playlist at low volume, and the blinds will go up 10 minutes later. 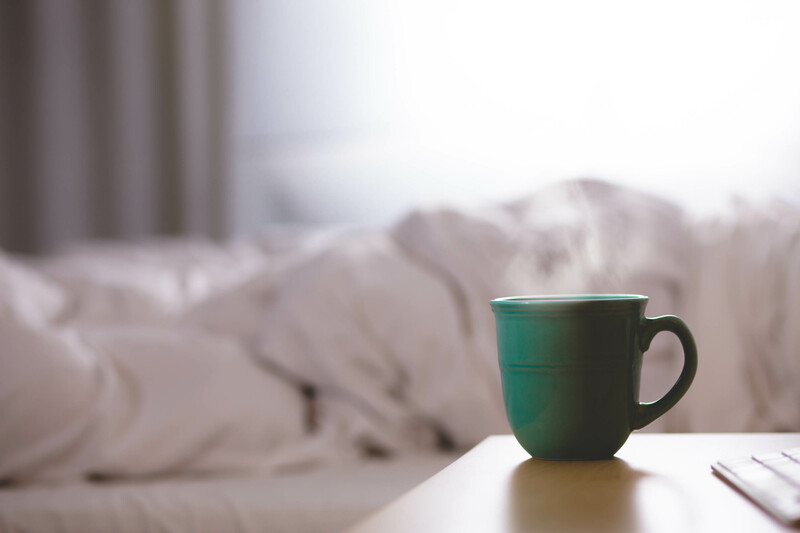 Also, by having our Nest thermostate adjust the temperature in the living room to 19 degrees celsius we’re guaranteed to enjoy breakfast in a cosy environment. Finish the scenario by switching the Hue Lights in the living room on. Adjust its colours to make the living room breakfast-ready. Another pretty useful feature of the ‘Date & Time’ function is the ‘Today is a…’-card. By adding this to our Flow, we make sure we still get to sleep in during weekends. Now that we’ve shown you our perfect morning routine, it’s time for you to get creative! Pair your own devices to Homey and adjust your preferences. For instance, if you’re not a coffee person, you can add your iKettle. Or just any water boiler with a KlikAanKlikUit socket to make your morning cup of tea. 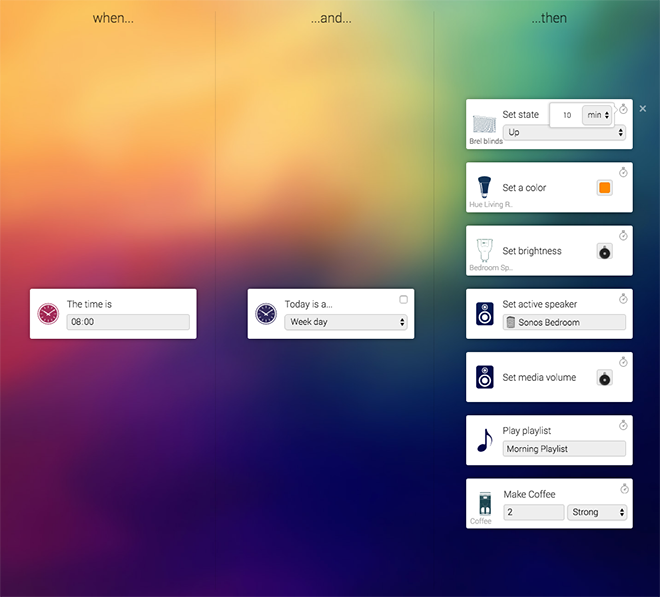 Play around with your Flows and devices and make every morning a perfect morning. Now that Homey v1.3 is released, we’ve added a new set of possibilities. Like, in this scenario, adding Alarms to your Flows. Easily set Alarms for weekdays and weekends through the brand new custom-made interface. By doing so, there’s no need to make separate Flows for the different days of the week. Homey acts like you want, per day. Easily set your Alarms with the Homey Smartphone App, by pressing on ‘Alarms’. By doing so, you can make Alarmgroups, that can vary on a day-to-day base. Never worry about whether or not you’ve set the correct alarm! After you’ve set your alarms, simply edit the ‘waking up’-Flow for everything to work. Change the ‘when…’-trigger with the new ‘An alarm goes off’-card. The changes will take effect immediately. And you’ll be able to enjoy your mornings with automatically freshly made coffee, like you’re used to by now. You don’t even have to worry about Homey waking you in the weekends, because you’ve set your Alarms to not wake you in the weekends. Isn’t that ideal?